There’s a song called “Seven Spanish Angels” that makes you feel sorry for the protagonist, who probably is a killer. When you hear the song you don’t think of him as evil or bad. Instead, you sympathize with him. The love of the man for the woman, along with her devotion to him, and his weariness and his struggle, and the sympathy of the Spanish Angels, makes you believe that maybe he is innocent. Perhaps you even think he is you. Willie Nelson recorded the song with Ray Charles and you can hear it here. It’s a great tune, but it is not life. In life, we more often think the worst of people rather than the best. This is especially true if the people are not like us. Even in the song, it requires Spanish angels to look after a Hispanic, suggesting that Anglo angels don’t much care. True understanding takes a rare kind of wisdom born of diverse experience. Makes me wonder what I would do if I were among those who worry every time a police officer approaches, even if I’m just sitting on my front porch. If my life could be taken at any time by an officer of the law, and for no good reason, could I be silent and passive while waiting for change? I tend to think I could not. My reaction would edge toward protest and revolt. I know there are people like me who would take up arms rather than submit to this kind of treatment. But not actually being subject to it, and believing it can never happen to them, those who would arm themselves can’t comprehend how the real victims could possibly do the same. When someone is not like us, we can’t see their humanness. Beyond that, we ascribe all sorts of sub-human qualities to them. Not long ago, I met a former NFL assistant coach, a big, powerful man who came close to tears telling a story of someone who once didn’t think much of him. In the story, the future coach is attending a small college where the typical student came from a small town or farming community. The coach was not typical. Relevant to the story are these facts: He is black, good at math and a frequent hand washer. One semester he tutored math to a white student who fit the school’s rural profile. At their final session, the white student expressed sincere appreciation and said he had learned more than just math. He said he discovered that something taught to him all his life – that black people lack intelligence and are dirty – was just not true. The coach, in telling the story, said that if people just got together more the walls of division and hate would crumple. He makes a good point. But even with more mixing, there sometimes can be an element of protective posturing that confounds true understanding. We’ve got to break through that as well. There really is a place called Bristol and the Stomp (a dance) was first done there. The song says, “The kids in Bristol are sharp as a pistol when they do the Bristol Stomp.” I grew up not too far from Bristol and I can tell you that in the early ‘60s the kids in Bristol weren’t just sharp, they were required by some unwritten code to be utterly and fantastically cool. Even the older men – all the Italians and about half the Irish – thought they were Sinatra. There was a walk and a talk; a way of standing and a way of dressing. Outer toughness was always present. My neighborhood was nothing like this. Bristol was a kind of threat to us. If there was going to be a fight at a high school basketball game, we’d prefer it not be with Bristol. For lack of coolness, we would never think of dating their girls (although I once did and it was great). They acted superior and we bought it. Yet they were destined to end up working in the local steel mill and we were destined for college. Their defense mechanisms could only get them so far. What surprised me was when, through a part-time job, I actually got to know a couple of kids from Bristol. Their veneer suddenly became transparent. They weren’t much different from me. Fears, worries, hopes, dreams – all about the same. Some weren’t even tough – or cool. I came to understand them, rather than fear them. The Seven Spanish Angels looked after and rooted for their Mexican brother because they had something in common with him. They recognized the difficulty of his life and sympathized with him. But outside of songs, there are no Spanish angels. Angels have no nationality or culture. At the Altar of the Sun, there is only universal compassion. It is for everyone because everyone in the human brotherhood is deserving of it. Down here in the Valley of the Gun, it is most important to learn the sameness of our species rather than the unimportant differences. It is much harder to aim a deadly weapon at someone when you can see yourself on the other side of the barrel. And so I add a few words to the conversation, one that will take a great deal more than words to resolve. I used to think “Big Rock Candy Mountain” was a children’s song. It’s not. It’s a song by and about hobos that someone made into a children’s song. 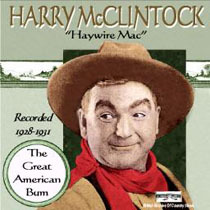 Harry McClintock, a hobo known as Haywire Mac, was the first to record it in 1928. It depicts a hobo’s paradise. 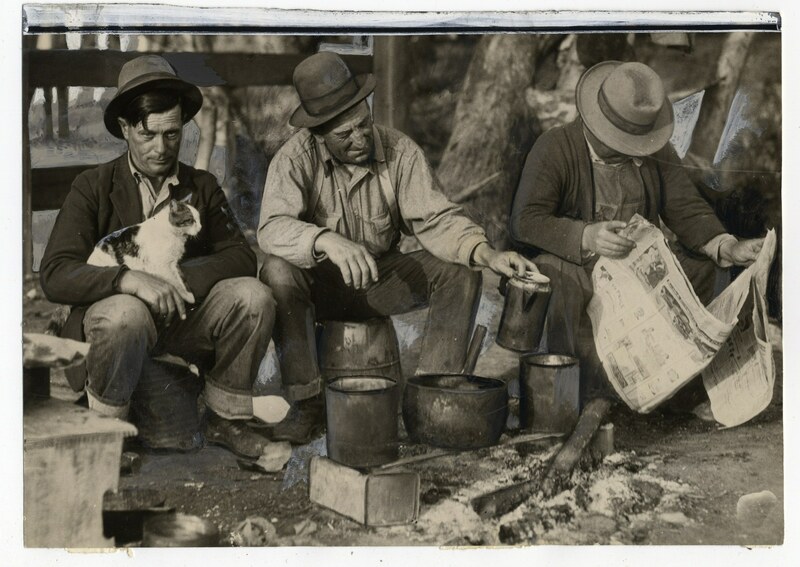 You don’t see many hobos today but they were common and plentiful during the Depression. The Coen brothers used the song in the movie, “Oh Brother Where Art Thou?” Recently, I watched the movie again on TV and gave a close listen to the lyrics of the song. It describes a place where cops have wooden legs so hobos can out run them. The jails are made of tin so hobos can easily escape. On the Big Rock Candy Mountain, boxcars are always empty and lakes are filled with stew and whiskey. There are no short-handled shovels. That’s the hobo’s idea of paradise. After hearing the song, I though that if I were a hobo my paradise would have no cops and no jails. It would be a place where someone down on their luck could crawl out of their hole and make a good living; a place where even a hobo could be somebody. What I failed to understand was that in my hobo paradise, a hobo would cease being a hobo. As I listened to the song again, it became clear that while hobos may want an easier life, they still want to be hobos. Which raises the question: How true is this of other people and their lives? Amidst our general hardship and discomfort, apart from our complaints and dissatisfaction with the small and the large, are we actually … happy? As you think, consider this little story. I once spent the Fourth of July at a country club. The fireworks were fantastic and the food was beyond good. There were hot dogs and hamburgers but also barbecued chicken and ribs, all you could eat. On a table the length of an interstate was an assortment of desserts. In addition to bringing me, my host brought an African-American boy, about 12. He was from a Philadelphia neighborhood that was experiencing a rash of random shootings and killings. The little man was brought to the suburbs via a program designed to give poor children a break from the stresses of violence and poverty. He was the only black person at the affair. As I worked on my second helping of ribs, he sat with his head on the table, almost dozing off. For him, happiness was the familiar, not the strange. The familiar is comfortable and predictable. While I can’t document this, I have heard of a study showing that people, if given the chance to exchange all their problems and ills with the problems and ills of another person, would decline. If true, this is further evidence that no matter who we are, we like our lives. It’s been said that England is defined by its class structure, and that people recognize and take pride in their station, be it high or low. 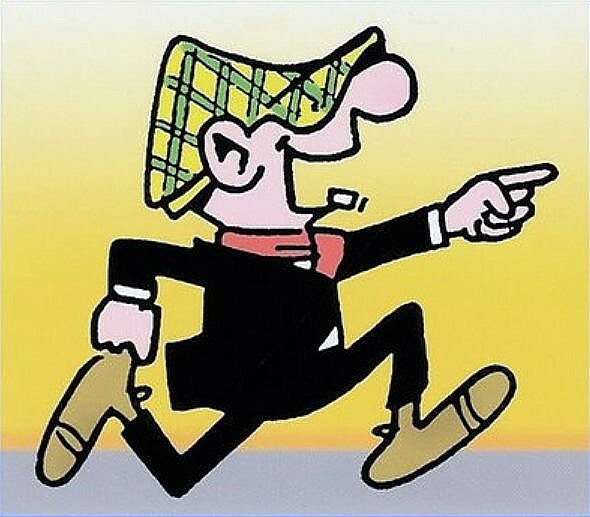 They wear cloths and banners proclaiming their class – like the Jeff cap worn by the working-class cartoon character Andy Capp. I don’t think we do that in America, but maybe I’m just blind to it. Either way, listening closely to “Big Rock Candy Mountain” has made me believe that America, for all its problems, is a land of contentment for both the haves and have-nots. It’s so content that most don’t even vote. While a peaceful populace has its advantages, it also has its dangers. Injustices are easily wrought upon the passive. Eventually, they create a destabilizing imbalance that will harm everyone – even their originators. Income inequality is such an imbalance. In nations, stability and economic might are derived from a deep, viable, productive middle class, with a minimum of poverty and want. But when wealth is concentrated among the few, as has occurred in the U.S., the whole system is threatened because the many stop spending. More concentrated wealth means less spending than if money was spread to more people, according to a new report. This realization, and others like it, is putting income inequality on the national agenda. Balance, to some degree, eventually will be restored. But it is because the elite acted, not the complacent. I realize people get set in their ways; that they like routine and follow habits religiously. Still, there comes a point when routine is dispensed with in order to preserve dignity, honor and respect that were compromised by imbalance. At home, this happened in Ferguson, Missouri. Abroad, it happened in Gaza. The wise nation will avoid such flashpoints. More common is that they will act after the fact. The better way, at least in the U.S., is self-action prior to the flashpoints. We all need to get off the Big Rock Candy Mountain and take personal responsibility for our collective fate. Areas of concern are fairness, equal opportunity, equal treatment, social justice and civility. Legislation and tax policy must be designed for large segments of the population rather than small. Key tools: Vocalization and voting. Voting, real voting, is a powerful concept that has gone dormant in the U.S. We should try reviving it, just to keep the system fair and honest. Voting shows we are alive and paying attention. There is nothing wrong with being happy and complacent. Complaisance, however, should never interfere with our ability to stop those who would chip away at our happiness.